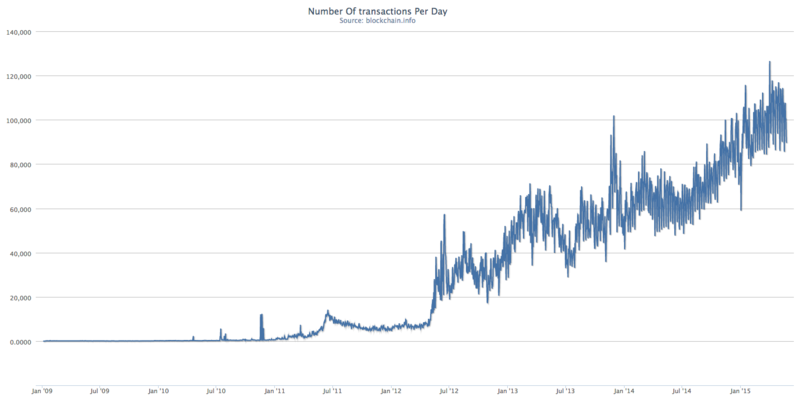 One typical way of evaluating the activity in a Bitcoin network is to look at the number of transactions. With the total number of Bitcoin transactions increasing over the years, you may deduce from these graphs that Bitcoin is gaining steady momentum. 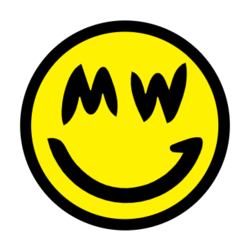 However, because Bitcoin transactions are affordable and easy to execute, folks may potentially be shuffling coins between different wallets that would end up inflating the number of transactions in the network. Bitcoin Days Destroyed was proposed on the notion that counting the number of transactions per day does not truly reflect the Bitcoin economy. 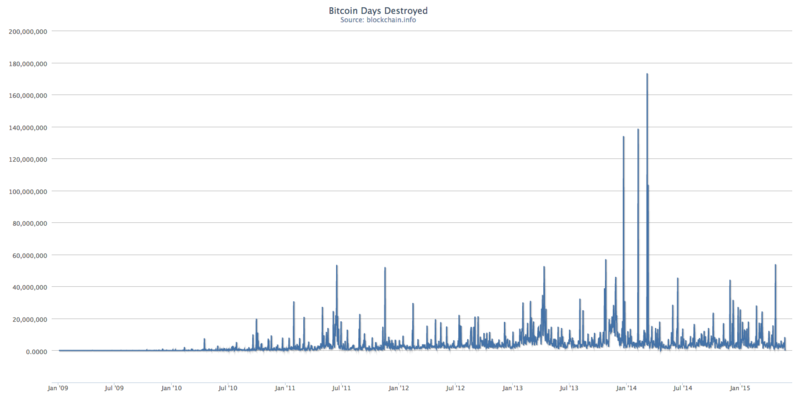 Bitcoin Days Destroyed is often used as an alternative view to bitcoin transaction volume. 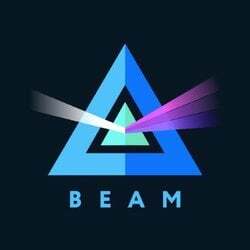 This metric is a measurement of transactions with an emphasis on bitcoins which have not been spent in a while. Alice has 10 bitcoins which she received 100 days ago. Today she decided to spend it all in a transaction. Bob has 10 bitcoins which he received yesterday. Today he decided to move them into an exchange in a transaction. The longer that the bitcoins have not been spent, the higher the Bitcoin Days Destroyed will be when it gets spend. The idea of this metric is that by looking at the Bitcoin Days Destroyed, you would be able to weed out transactions where fresh set of bitcoins are merely bouncing around different wallets. You would find the terms being used at the following articles on CoinDesk, Tim Swanson's blog and also Reddit. Is Bitcoin Days Destroyed a perfect measurement of the Bitcoin economic activity then? Not quite. Businesses may actually be engaging in real commercial activity with high bitcoin turnovers and yet get measured with a low Bitcoin Days Destroyed. Hoarders who start to move their dormant coins to another wallet would cause a spike in the Bitcoin Days Destroyed when there is actually no commercial value within the transaction. 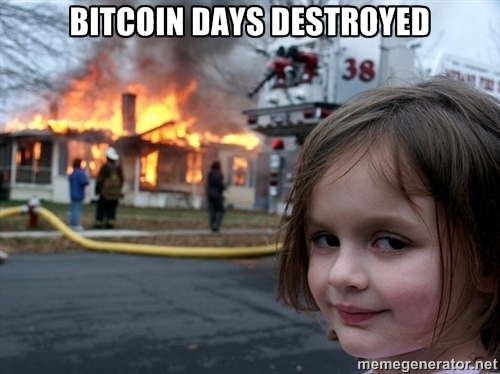 Bitcoin Days Destroyed is one of the many metrics which you can use to evaluate the Bitcoin economy. However, it does not paint the full picture, so use it with caution.